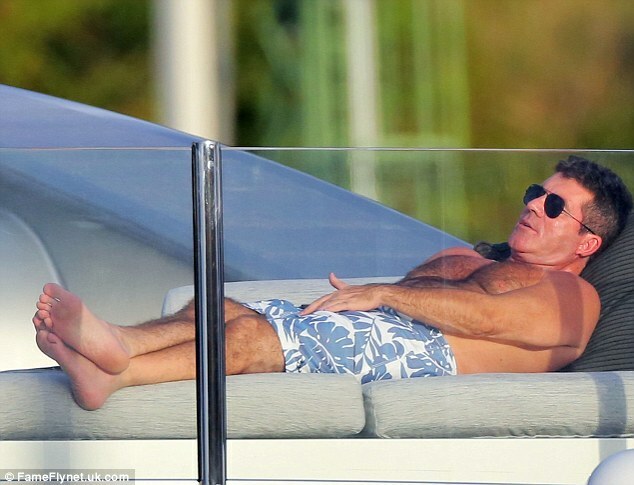 Now although Simon Cowell has relinquished X-Factor duties to other judges, including Gary Barlow and Nicole Scherzinger , it would seem that he still keeps a beady eye on proceedings and is emphatically exhausted by the end of it – so much so that he simply has to take a break once it is over! 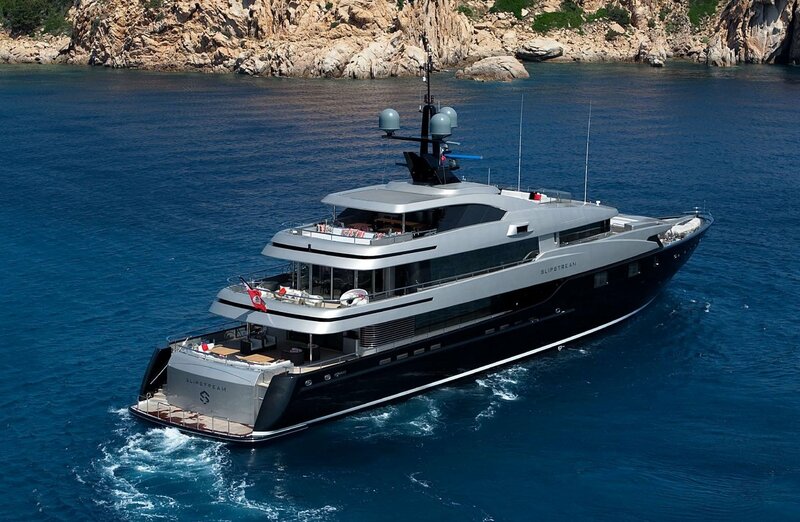 With the festive season bringing the cold weather with it in the UK, Simon Cowell always opts to spend the holidays in St Barts, aboard the superyacht named Slipstream – a 197ft (60m) custom made yacht built in 2009 by CMN Yachts. He also never wishes to be alone and so invites along a bevy of exes to accompany him. While this may be the average person’s worst nightmare, Simon seems to have got it down to an art from, ensuring (from these photographs at least) that there are no catfights on board and that they all get along swimmingly! The music mogul and talent competition judge has been spotted relaxing on the deck of the 196ft yacht, which sleeps up to 12 people and is anchored just 200 yards from the shore. Simon Cowell’s mother Julie, 85, who clearly wants to spend the festive period with her son, is being put up in a £2,000-a-night hotel suite nearby as it would seem that Simon prefers the younger ladies around him and mum would just cramp his style! He has been joined on board with ex-girlfriends including Sinitta and Mezhgan Hussainy who are pictured here. Sinitta is one of his earliest girlfriends and the first popstar he helped make it in the music business. While her career has flagged somewhat in later years, Simon always requested her presence as a guest judge on X-Factor in the UK, inviting her along to be part of the ‘Judge’s Houses’ segment of the show. Sinitta helped Simon make decisions as to which acts would eventually reach the live finals. It would seem that Simon Cowell knows what he likes and therefore thinks, why change? He always charters the same yacht, Slipstream, every year for him and his friends and hasn’t opted to try another one since. 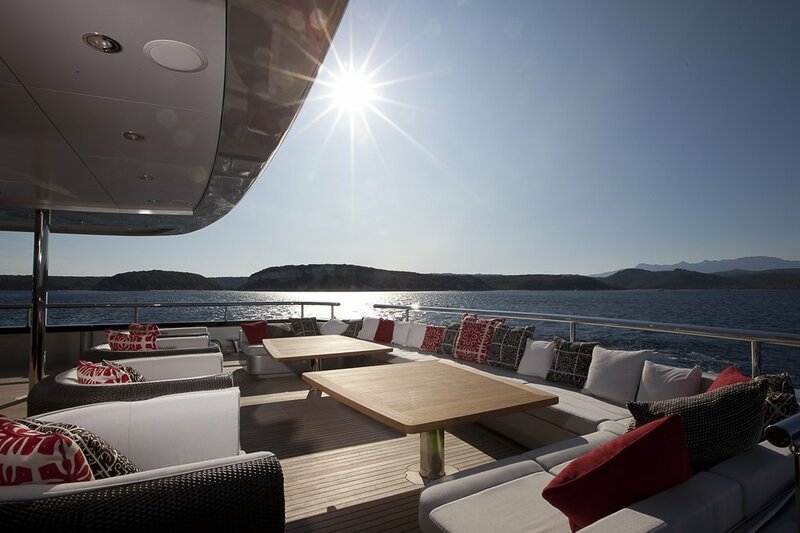 The yacht is looked after by 14 crew members so his every need as well as those of his guests, are looked after. 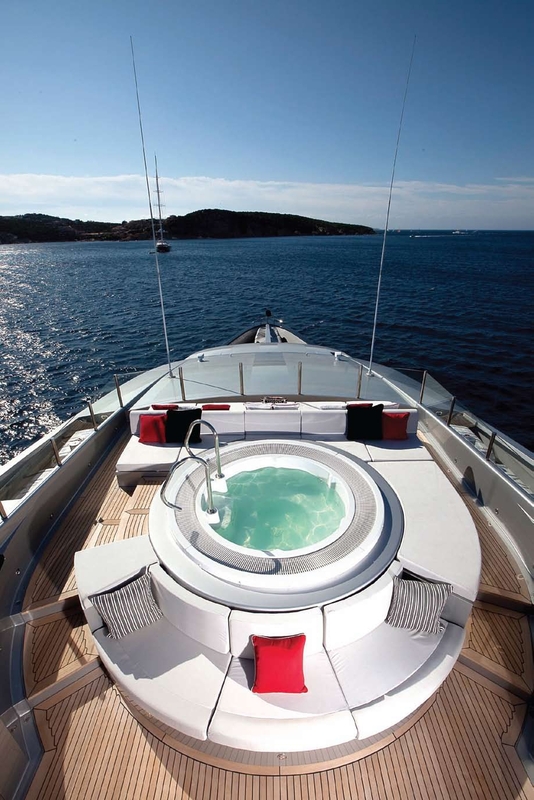 If you want to emulate Simon Cowell (not with his high-waisted trousers mind you) with his type of vacation aboard Slipstream – the whole thing will cost approximately €329,000 per week plus expenses, according to a leading yacht charter website. Take a walk through the floating palace that is Cowell’s home away from home, superyacht Slipstream.